Hey, I am back with yet another unique travel post. I explored this exciting place in Mauritius. 23 colors of soil in a valley, adventurous quad-riding options, longest zip line (1.5 km), Nepalese bridge, fern gardens, animal farms, waterfall in natural intimacy, amazing view of the Indian Ocean, great food in the restaurant, an offbeat wedding location and more – I was delighted to find it all at the La Vallee des Couleurs Nature Park in MAURITIUS. 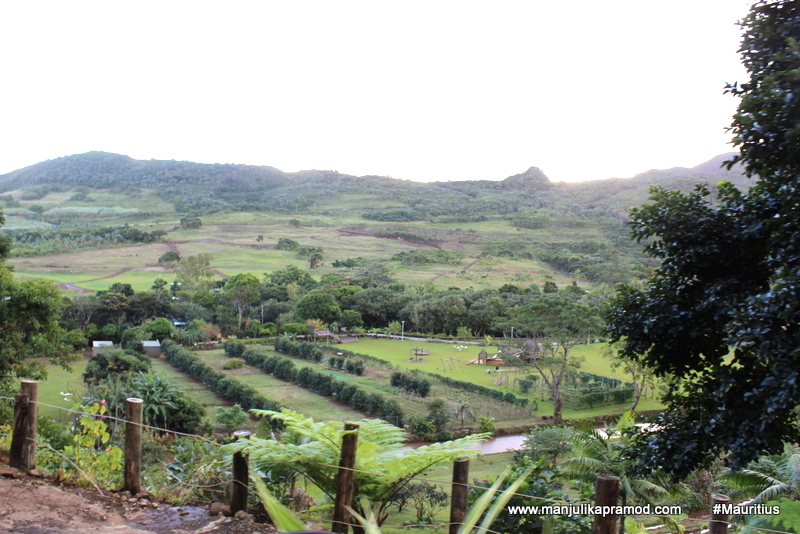 On the last day of my trip to Republic of Mauritius, I had a chance to explore this unique valley with gets its fame from 23-colored earth, discovered on the 4th of July 1998. When I heard about its distinct geological formation, I was as curious as any other tourist would be. Therefore, it does make one of the much-talked about attractions of the island. 23 Colors of Earth in Mauritius is a unique attraction! Being the consequence of volcanic wonders of our Earth, 23-coloured earth’s origin dates back to millions of years and gets this unique formation due to the eruption of Bassin Blanc volcano. The volcano and the chemical transformation of these volcanic ashes have given this unique character to this valley. Well, I am sure this piece of land must have intrigued the geologists much more when they discovered it but I was equally bemused at the sight of this dramatic formation of soils. I had never seen something like this before. One could easily dismiss it saying that it could be made with artificial colors but this landscape has stood through torrential downpours and adverse climatic conditions of the island and yet the colors have stayed. 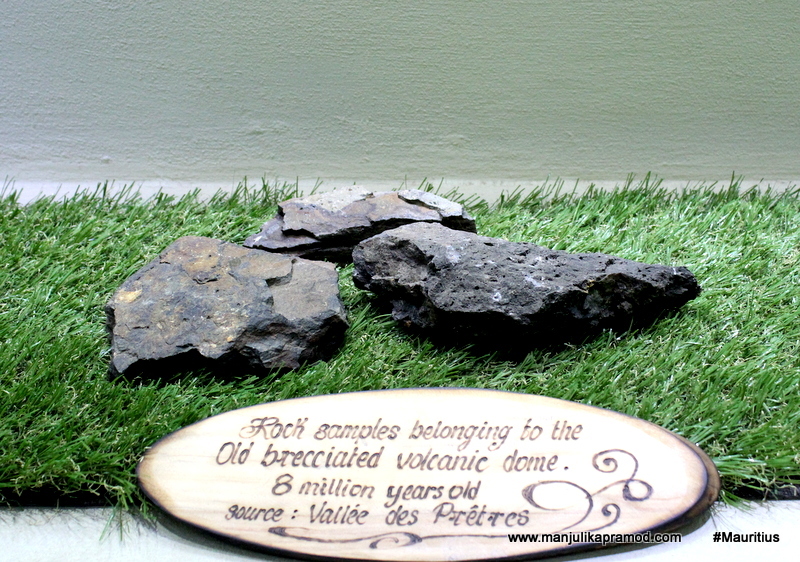 Mauritius has a volcanic origin and we all know that but this dramatic formation is special. To meet our curiosity, it has been explained by scientists. The study proves that the different colors of soil developed due to sudden volcanic eruptions, lava solidification, chemical reactions, weathering and more. When the volcanic rock cools at different temperatures and comes in contact with surface conditions, it gets impacted on its mineral and chemical compositions. All of these minerals and metals have gradually changed into different colors and hence they lend the multicolored layers to it. When we talk of Mauritius, we generally think of its stunning beaches and amazing underwater life. My trip was quite an eye-opener and I learned that how we often overlook the other attractions of the island. Before my visit, I had no clue that it had amazing adventure parks, exotic flowers and orchards, variety of endemic and rare birds and animals, a commercial setup like Le Caudan waterfront, Le Chateau de Labourdonnais (Old Mauritian Museum), amazing multi-colored earth and much more. 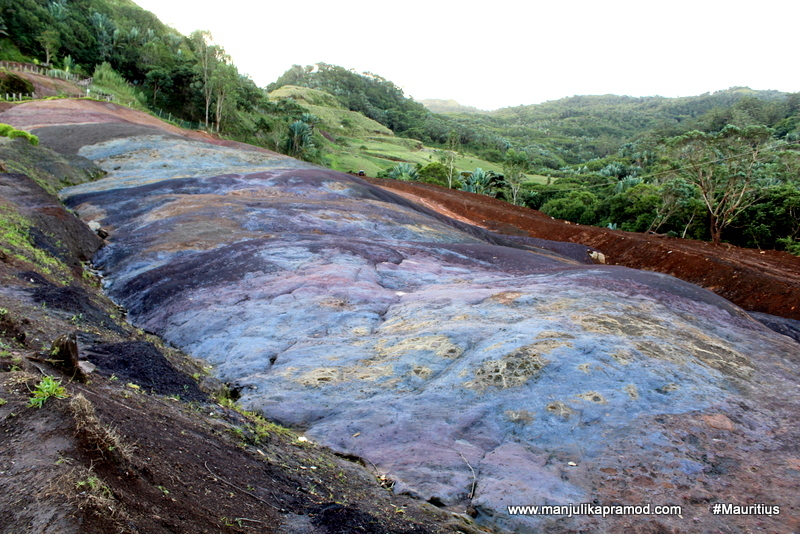 In fact, while I am talking about the 23 colors of soil, I must inform you that Mauritius has also been famous about its impressive “Seven Colored Earth of Chamarel”. The nature park has a dramatic and colorful setting! The exhibition room right at the entrance has lots to tell us about geology. 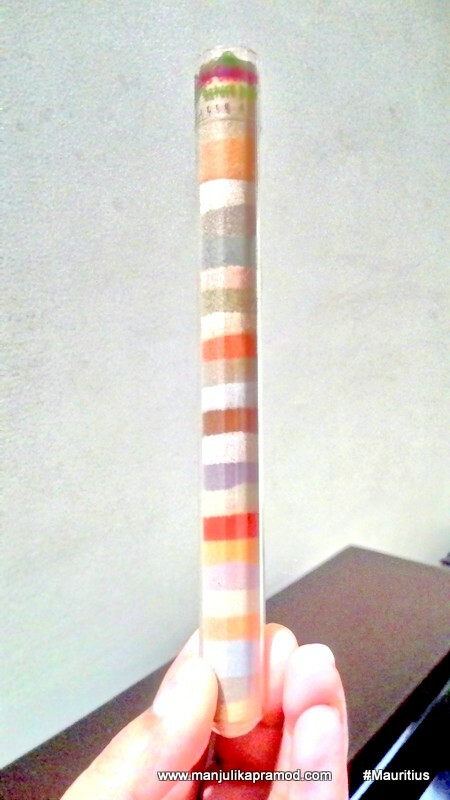 The model that explains the 23 colors of the soil and its formation. The exhibition room right at the entrance made me really curious about the different colors of soil which existed inside. It educated us around the various research and study that has been done to find more about these chemical compositions. And last but not the least, it stimulates us to think about the various processes that take place within the surface of the Earth and inside the Earth. I am glad this small room sets in the mood and gives us a chance to connect things that we have learned in geography. If soils and fossils attract you, this is a must-do. 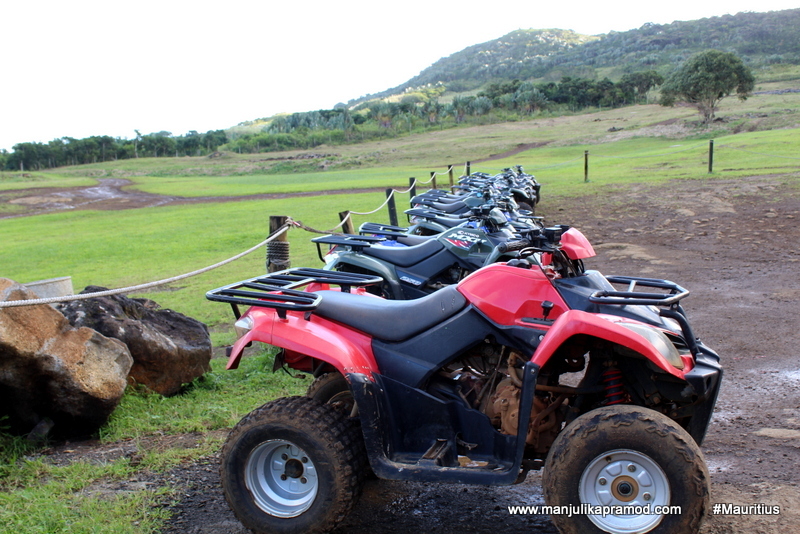 This is the place to enjoy Quad Biking. I opted to be a pillion rider for my quad biking trip and I would call it one thrilling off-road riding. The pro should not have too high expectations but it is good for the first timers. This is where one can do Quad Biking. This is how one section of the nature park looks from above. We were pressed for time and therefore I could not go for the ziplines but I did enjoy watching others do it. I also learned that some of the couples who get married here also prefer to go for the zipline ride in their wedding dress. The longest zipline not only makes for the adrenaline rush but also photogenic pictures. The park is loaded with lots of fun and thrilling activities. 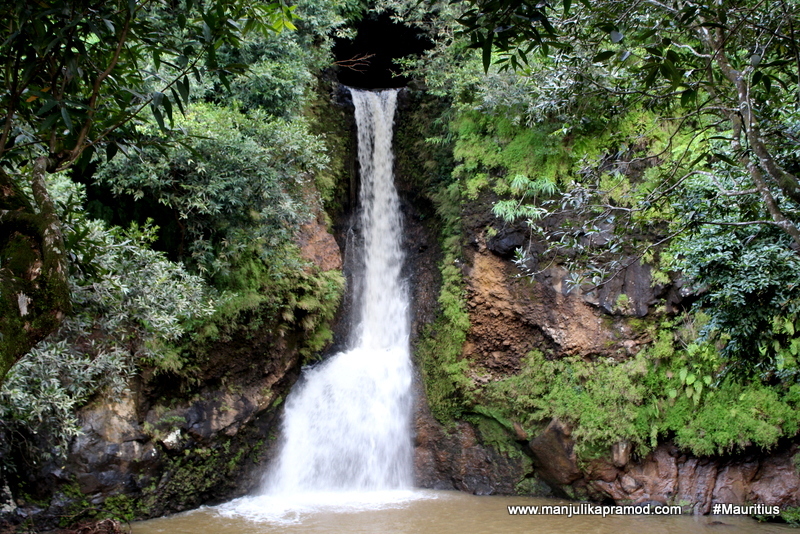 Half way through the quad ride, I did stop at the waterfall and walked down the steps to take some pictures. Cascade Cheveux d’Ange is one of the several beautiful waterfalls at Vallée des Couleurs and it comes to be pure delight for the eyes. 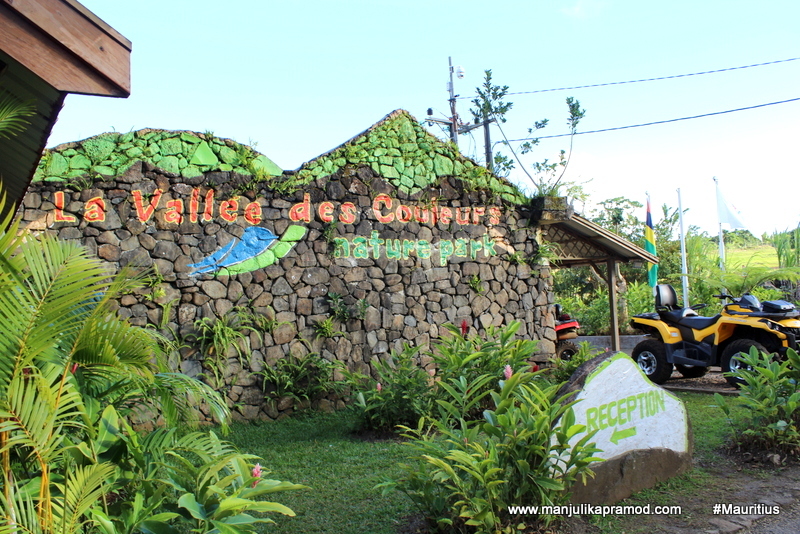 The garden walk is a must do to learn about the indigenous plants of Mauritius. It was fun to see the lovely animals do their own things in the farm area. Children will love this part and its educative for all of us. The lunch at the restaurant was okay but not great. The two things that stood out for me were the panoramic view of the South Coast of Mauritius that one gets to see from the highest point of the nature park and second the top view of the area where the Earth shimmers and shines in 23 shades. 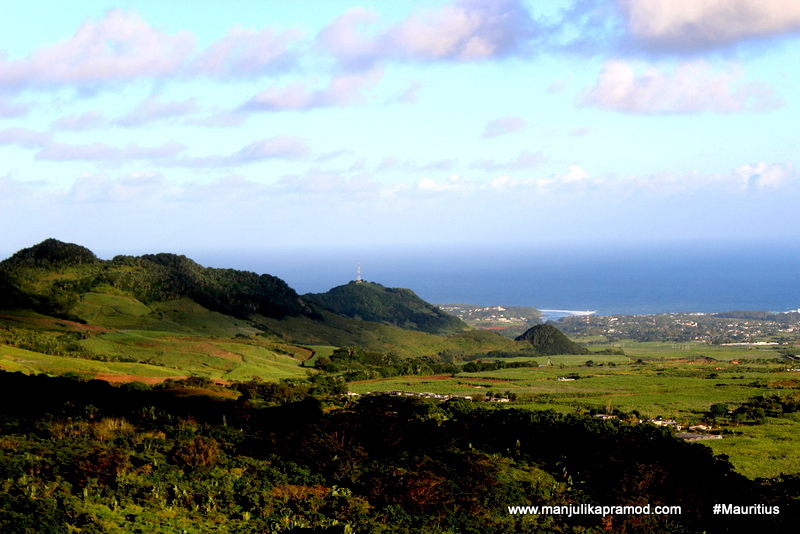 One can see the South Coast of Mauritius from the top most viewing point. These 23 layers of soil is the most interesting aspect of the park. I would definitely recommend this place if you are an adventure enthusiast. This place asks for time so you must be ready to soak in nature with open arms, warm up to the rides and enjoy the beauty of the place. If you have kids, you may take them for meeting tortoises, monkeys, stags, fish and birds in the farm area. Even when you try to mix these different soil together, they eventually separate into different colored layers. As a memento, I brought back a bottle which has all the 23 shades of the soil. 23 different types of soil in one bottle! Had I known this earlier I would have asked to bring some soil for me too. Loved reading the post.